The worldwide leading interactive entertainment software company, EA (Electronic Arts) has launched a new Nintendo DSiWare title – Foto Face: The Face Stealer Strikes (a game starring YOU! 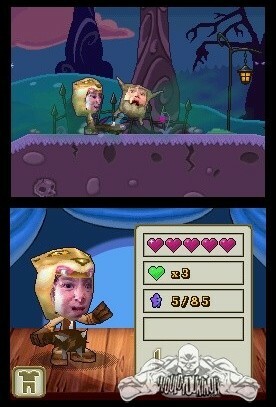 ), which allows players to become an in-game character by leveraging the unique features of Nintendo DSi portable game system (camera and microphone), sending players on a wild, adventurous quest to reclaim their stolen identity. Foto Face: The Face Stealer Strikes game that developed by EA Bright Light is now available for download from the Nintendo DSi Shop for 800 Nintendo DSi Points.